Clean Up City of St. Augustine, Florida: SAR EDITORIAL, Letters: St. Augustine Beach "blew it on stealth insurance ‘vote’"
SAR EDITORIAL, Letters: St. Augustine Beach "blew it on stealth insurance ‘vote’"
St. Augustine Beach City Commissioners swiftly decided to give themselves a de facto raise. No one counseled caution. No one talked about procedure. No one analogized to the 27th Amendment. The wheels were greased. One wonders what private discussions between City Administrator MAX ROYE and Commissioners took place, in possible violation of the Sunshine law prohibition on "polling," to make the Commissioners seem like they were in a race, to get it all approved in one time and one place. Nothing else at St. Augustine Beach has ever been treated with such urgency in recent years. One wonders. Did sly sneaky St. Augustine Beach City Administrator BRUCE "MAX" ROYLE put it on the agenda for "discussion" in hopes of setting a bear trap for Vice Mayor UNDINE GEORGE? "MAX" ROYLE may be slow, but he's not stupid: his word choice on the agenda -- FOR DISCUSSION -- made this an issue. Setup to divert attention from his normal nonfeasance, misfeasance, malfeasance? What do you reckon? It may just be us, but it seems as if governance at St. Augustine Beach just has to find a way each meeting to create controversy from one side of the dais or the other. A rare, calm meeting was nearly over Monday night — no outbursts from the crowd, no taunting, no name-calling. One of the commissioners even mentioned how well behaved the meeting had been that night in closing comments. Commissioners did considerably more than that. They discussed it — barely— then took a vote. In a unanimous decision, commissioners put themselves on the city’s health insurance plan. That plan pays 100 percent of employees’ salaries and 70 percent of any dependents on the policy. The Beach is very good to its employees and probably for good reason. Frankly, we can’t really pick a fight about the notion of commissioners receiving city coverage. What we do pick a fight with is the way in which they accomplished the feat. Call it stealth governance. First, the wording of the agenda item was either completely wrong or the commissioners were completely wrong in over shooting the scope. Yes, it was mentioned in background papers that some decision might be made, but we doubt that 99 percent of the resident even know what background papers are, let alone how to access them. Nobody does. And why would one dig any deeper when the agenda clearly outlined a discussion? In any municipality we’ve covered, a discussion on the issue would be followed with a draft ordinance of some kind. There would be a first and perhaps a second reading in public meetings. 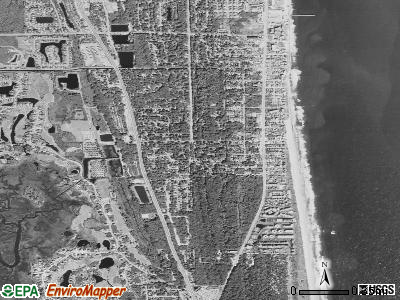 Vice Mayor Undine George must have drawn the short straw and got stuck with pitching the plan in public. But it was late, it was the last agenda item and no one who might still be in attendance saw it coming. Ms. George’s personal opinion was that the commission, not having the same access to health insurance as city employees, was a form of discrimination against her. Did commissioners not know that insurance was not part of their salaries when ran for the office? Then she laid the groundwork for the stealth vote. We suppose lawyers could argue that point, but our problem isn’t whether or not it was legal. What we wonder is how they imagined it was right. The public hearings were one way to go. If not, most elected bodies who vote in pay raises or perk packages for themselves, have the delicacy to make if effective after an upcoming election — which puts at least some respectful distance between them and municipal largesse. Another way the city commissioners might handle it would be to put it on the ballot in 2018 and let its residents decide their representatives respective worth. But they didn’t. They all agreed they didn’t have to. And, apparently, they would not be troubled to do what they must have known to be right thing, at the right time in the right way. So far Commissioner George and spouse Eddie, Commissioner Rich Ringhaver O'Brien and spouse, and Commissioner Kostka have signed up. That has been confirmed by the City Manager Bruce M. Royle. Commissioner England and her Boyfriend plus Commissioner Snodgrass and Spouse are taking the CASH option, when they return from their vacations in Europe. Total cost to taxpayers so far just under $60,000.00. a year. They said they work full time and that is the part that is most troubling. Because every resident knows that the Beach City Commissioners work around 15 hours a month. Not one dime for any Children s Recreation Programs, but $60,000.00 for Health Insurance, plus about $35,000.00 a year in salary. Why would anybody not work for a government agency, especially one which can just vote themselves pay raises and insurance benefits? Editor: I’m sure there will be many comments on this issue. 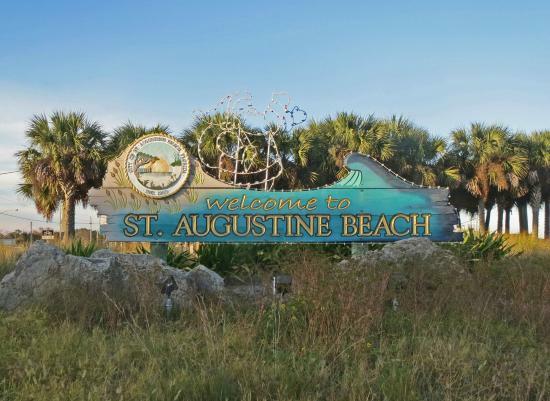 But the bottom line is that it is disrespectful and a slap in the face of the residents of St. Augustine Beach for the commissioners to expect residents to pay for their health insurance. I’m sure that all of the commissioners can well afford the $634.22 …but maybe it should deducted from their salaries. This is done at a time when many struggle to just get health insurance and pay for it — let alone letting someone else pay for it. Editor: With a leading story in Sunday’s The Record of the state proposing more tax credits for homeowners, and less money for government spending, the request for medical insurance for St. Augustine commissioners is ASININE. If commissioner Undine feels she is overworked, she should resign. Another attempt to saddle taxpayers with another burden. If any commissioners need health coverage I suggest they get a REAL job. Its time for commissioner Undine to follow her fellow commissioner, Samuels, out the door. She is not an employee she is an elected official. This is called St Augustine Beach Commission Awesomeness on Steroids ! !